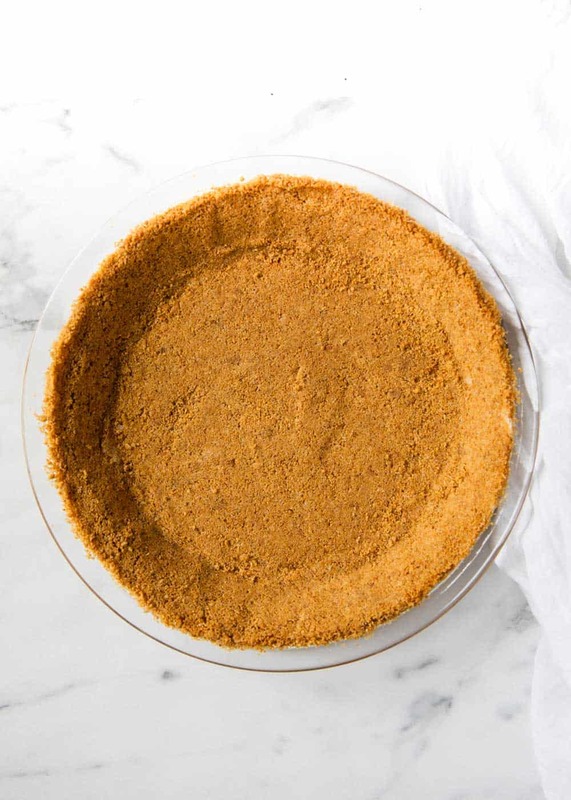 Graham Cracker Crust – Made with 3 ingredients in less than 20 minutes! Delicious buttery taste with golden brown edges. 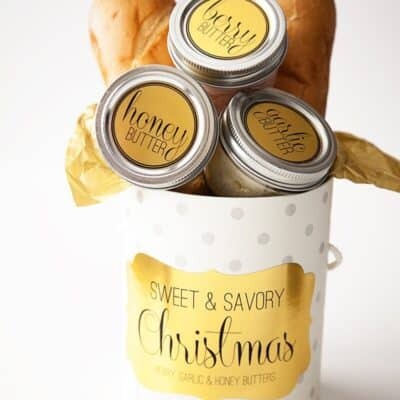 So easy to make and way better than store-bought! 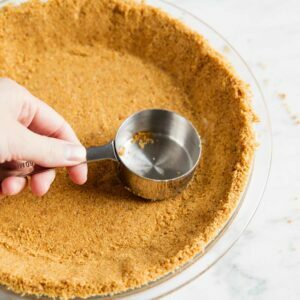 One of my favorite things to make with graham cracker crumbs is a delicious homemade graham cracker crust. 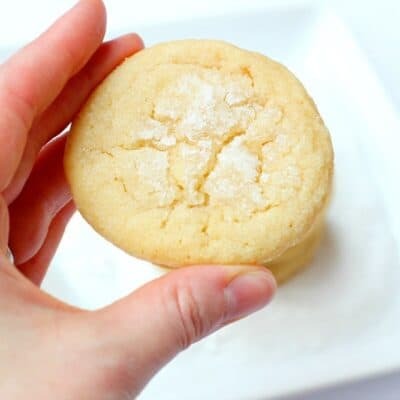 It’s so simple and has the best buttery flavor. I also love to make no-bake peanut butter bars, s’mores cookies, strawberry cheesecake dip and chocolate peanut butter cheesecake. Graham cracker crusts are SO easy to make and can be used for all types of desserts! 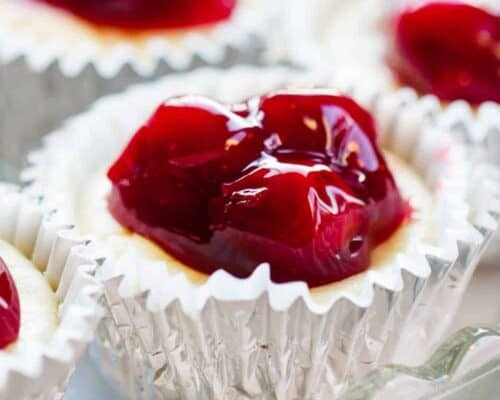 I especially love to use them for pies (baked or no-bake), like banana cream pie, strawberry pie and no-bake cheesecakes. I enjoy making a homemade pie crust every now and then, but sometimes I need an easier alternative that’s quicker and equally as delicious. This graham cracker crust is just that! It’s made in less than 20 minutes and only takes 3 ingredients. Plus it’s still homemade and tastes way better than store-bought! Graham cracker crusts are so versatile and can be used year round! Like in the summer to make key lime pie or in the winter for 7-layer bars. 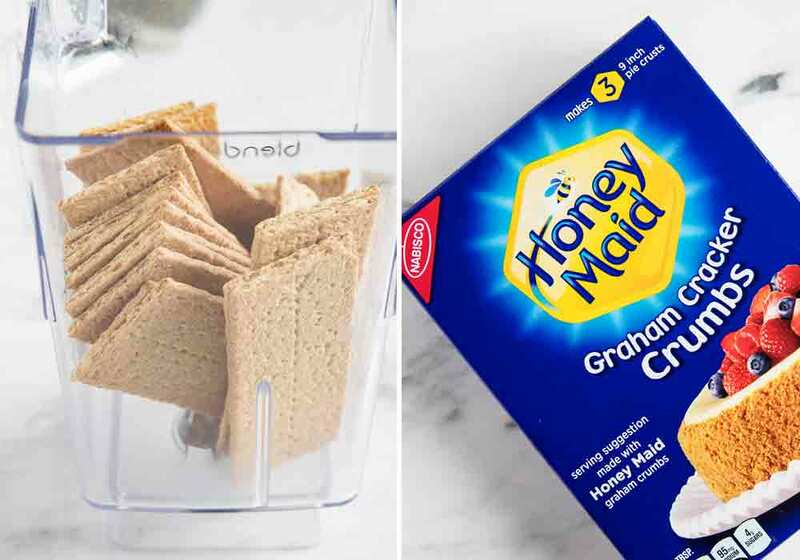 You can even use different types of graham crackers too, like chocolate or cinnamon. So easy to make and always tastes great! 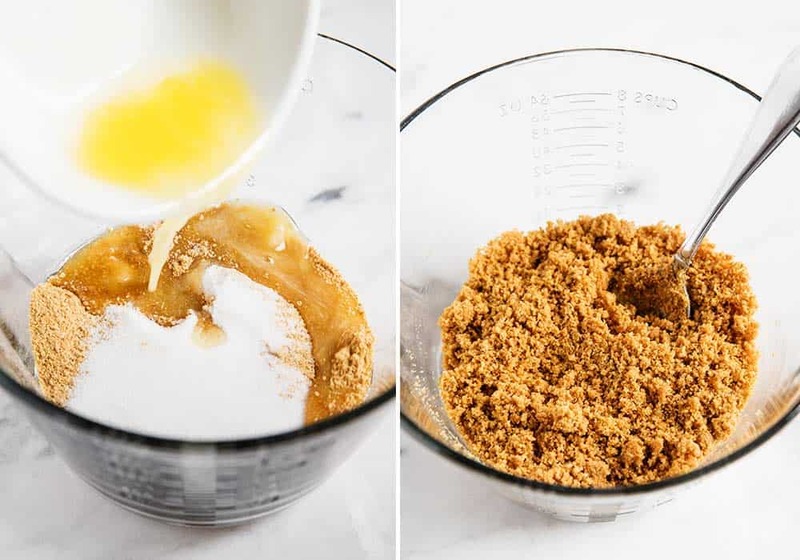 Can you make graham cracker crumbs in a blender? Yes, you can absolutely make graham cracker crumbs in a blender. Just add the crackers to your blender and pulse a few times until the consistency is fine and crumb-like. You can also make graham crackers crumbs in the food processor by using this same method. Sometimes I’ll just buy pre-made graham cracker crumbs instead. They eliminate an extra step and are great for when you’re in a pinch! How many graham crackers in a cup of crumbs? To make a cup of graham cracker crumbs, you’ll need about 7 to 8 whole graham crackers. However this graham cracker crust recipe calls for 1.5 cups crumbs, so you’ll need about 10 to 12 whole graham crackers. I would start with 10 crackers, pulse them in your blender or food processor, then add them to your measuring cup. If the crumbs are not quite 1.5 cups, continue pulsing 1/2 graham cracker at a time until the full amount is reached. 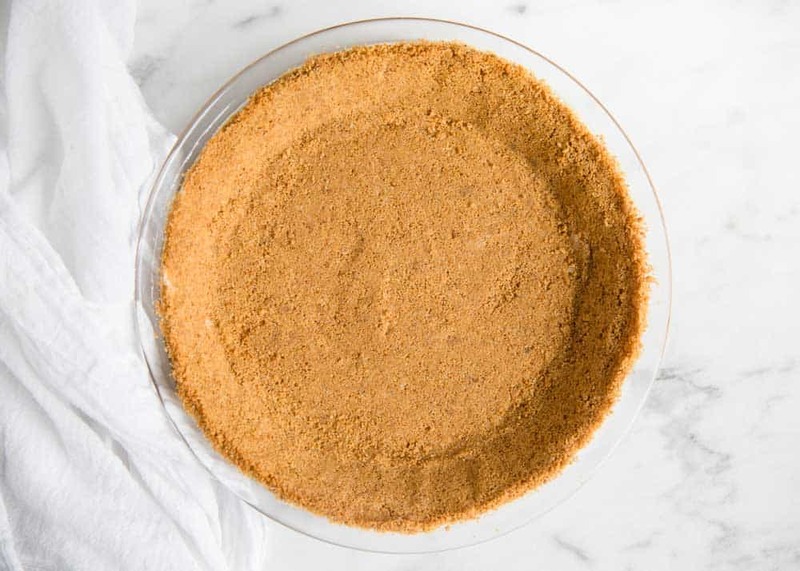 This graham cracker pie crust is SO easy and takes less than 20 minutes to make! Follow the simple steps below to get started. Scroll down for the printable graham cracker crust recipe. Press mixture into a 9 inch pie plate or springform pan. Then use bottom of a 1/4 measuring cup to firmly press the crumbs into the pan. Use fingers to firmly press on the sides. Bake for 6-8 minutes. If using for another recipe, bake as directed. If using for a no-bake dessert, allow crust to cool before filling. The melted butter in this graham cracker crust recipe is the ingredient that helps hold the crust together. When you mix the crumbs, sugar and butter in your bowl, it will make a thick mixture that’s easy to mold to your pie plate or pan. 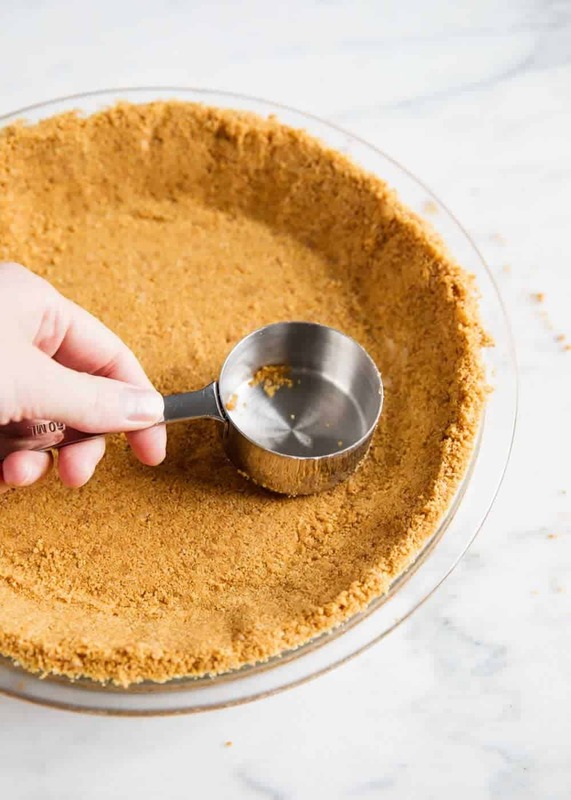 The main key to making your graham cracker crust stick together is using the bottom of a measuring cup to firmly press the crumbs into your pan. This is what creates that perfect crust consistency and compacts all the crumbs together. 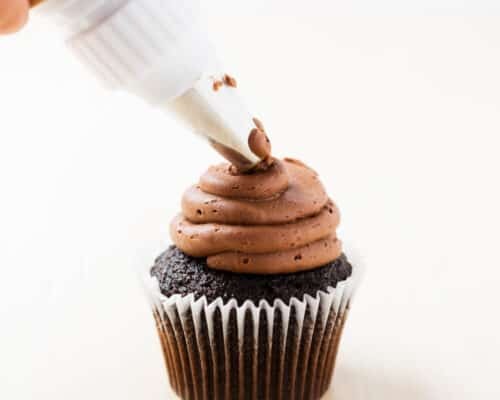 Just be sure to smooth out any bumps and create an even surface! Will a graham cracker crust burn? Like any other crust, a graham cracker crust can burn because of several different factors. One factor being the thickness of your crust. You want to make sure the crust isn’t too thin and is more on the course side (about 1/4 inch). If your graham cracker crust is super thin, there’s a good chance it will burn faster…. especially when adding filling that needs to bake as well. Because graham cracker crusts cook quickly, they can burn a bit faster if you don’t keep an eye on them. I’ve found that they typically are done within 6 to 8 minutes, but it could be a little more or less depending on your oven. When your crust is done, the color of the crumbs will darken a bit and the edges should be golden. Can you make a graham cracker crust ahead of time? Sure. If making ahead of time, let cool completely and then wrap in aluminum foil or plastic wrap until ready to use. If making a no-bake dessert, I like to make my graham cracker crust a couple of hours ahead of time anyways. This gives it plenty of time to cool so that the crust is no longer warm when adding the filling. Graham Cracker Crust - Made with 3 ingredients in less than 20 minutes! Delicious buttery taste with golden brown edges. 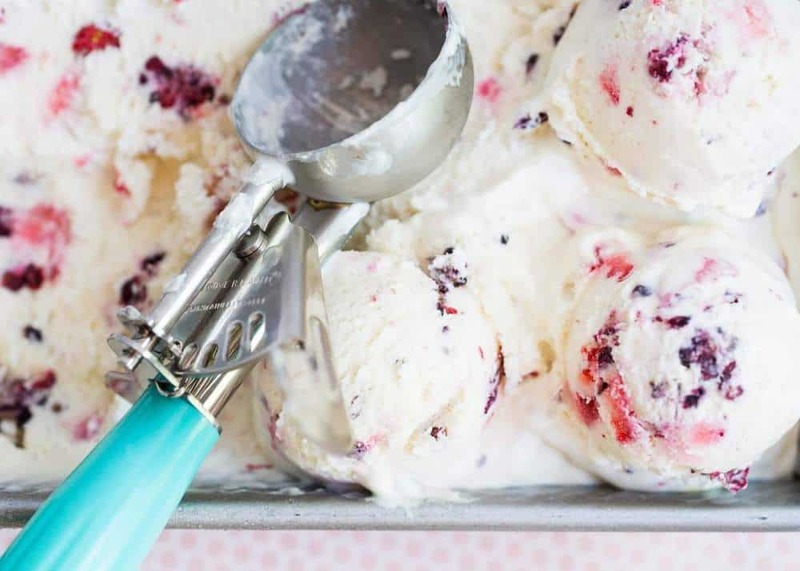 So easy to make and way better than store-bought! Combine the graham crackers, sugar and butter in a bowl. Stir until well combined. Press the graham cracker mixture into a 9 inch pie plate or springform pan. Use the bottom of a 1/4 measuring cup to press the crumbs firmly into the pan. Use your fingers to press firmly on the sides. Love how easy this is! Cannot wait to try it out! Sounds amazing! 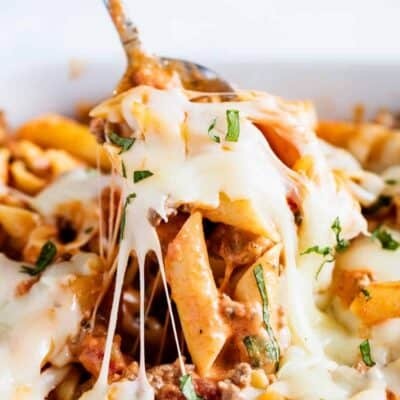 Love how easy and tasty this recipe is, need to put this on my menu! Hope you enjoy! Homemade crust is the best! To make it more diabetic friendly can you cut out the sugar completely? I’ve got a recipe of Cheesecake that is no bake for diabetics….it’s really yummy and fast. You definitely could, it just won’t taste as sweet! Easy and delicious! This will be my new favorite for sure! This is perfect!! I LOVE it! I adore this recipe. It’s super easy to do and quickly. One of my favorites. So glad you enjoy it! Homemade crust is so much better than store bought! Sooooo much better than store bought! Now I am thinking of what I would to fill it with!! I totally agree! Homemade is so much better! Sounds great! Definitely using this recipe with the next pie I make!